1At the Vega banquet of 24th April 1952, celebrating the return of the Norwegian-British-Swedish Antarctic Expedition 1949-52, Sven Hedin told us in his dinner speech how as a boy he had seen the glorious return to Stockholm of SS Vega on 24th April 1880. Seeing the fireworks and the royal festivity in honour of the conqueror of the Northeast-Passage, Adolf Erik Nordenskiöld, he took a solemn decision to return one day like Nordenskiöld as a hero explorer of unknown lands. 2With the Vega expedition geography was at the front of a new period of scientific glory in Sweden. But it was not yet established at Swedish universities. It was taught within history, geology or politology. Sven Hedin was the first Swede to acquire a “Doktor”-degree in geography. He made his “Dr phil.” in Germany 1892. Ferdinand von Richthofen was his “Doktorvater”. 3Sweden entered the epoch of geographical societies and exploratory expeditions some 50 years after the leading European countries. In the mid-1880s, when the Swedish Society for Anthropology and Geography (SSAG) had existed for some 10 years, there were already more than 90 geographical societies in the world, 80 of them in Europe, with 26 in France and 24 in Germany. 4In the first 25 years of its existence, the SSAG was the home of geography in Sweden. At its meetings, reports were given from expeditions and journeys in all parts of the world. Plans for new expeditions were discussed. The reports and discussions were printed in the society”s journal “Ymer”. The magnificent opening of this epoch was of course Nordenskiöld”s Vega expedition. The no less magnificent end of the epoch was marked by the great Hedin-expedition in inner Asia 1927-32. Since 1919, the SSAG has also published the ”Geografiska Annaler”, which right from the beginning was a journal for publication of purely scientific papers in English, German or French. Since 1965, the Geografiska Annaler has been published in two separate series for Physical Geography and Human Geography respectively. The Geografiska Annaler is the only international, refereed, Swedish geography journal. From 1920, a constant stream of new publications was set in motion by local geographical societies and geography departments. In 1949, the department in Lund inaugurated the series “Lund Studies in Geography”, the first Swedish department series published in English and one which soon gained international recognition. 5The SSAG continued to make contributions of international bearing in Swedish geography. In 1953-1971, it published the first National Atlas of Sweden (Atlas över Sverige), the result of 25 years work by numerous cartographers, geographers and other specialists. In 1987-1997, it cooperated within a consortium, including the National Land Survey and the Statistics Sweden, to produce and publish in separate Swedish and English editions the new 17-volume National Atlas of Sweden, followed by a web version. All human and economic geography departments in Sweden, as well as a number of state authorities, were engaged in this endeavour, each one of the departments responsible for editing at least one volume in the series. 6The SSAG awards the most prestigious Swedish medals to geographers worldwide for outstanding scientific contributions : the Vega medal in physical geography and the Retzius medal in human geography or anthropology. Every year a number of young geographers and anthropologists receive research grants from the funds of the Society. The SSAG also organizes yearly “PhD-student days”, the only national forum for young geographers to meet and exchange ideas. 7Unfortunately, the local base of active membership in the Society was severely weakened when in the 1970s governmental authorities like the Geological Survey, Land Survey, Meteorological and Hydrographic Institute and others were transferred from Stockholm to regional centres. 8Around the year 1900, professor positions and geography departments had been established at the state universities in Lund (1897) and Uppsala (1904), in the private Göteborg University (1905) and the Stockholm School of Economics and Business Administration (1909). The chair at the then private University of Stockholm was established in 1929. In 1938, a chair in economic geography was established at the Göteborg School of Economics. With the inauguration of a new university at Umeå, university geography advanced to the north in 1964, besides the Stockholm School of Economics and Business Administration the only case where geography is as old as the university itself. In Linköping, a new thematic organisation of research included positions for geographers since 1980 without establishing a geography department. 9Recruiting the first generation of professors from as different disciplines as geology and history, geography had difficulties with its self-understanding as an academic discipline right from the beginning. However, geography was kept together as one integrated discipline with “one-professor departments' at the universities until around 1950. Beginning in Uppsala in 1948 and ending in Göteborg in 1961, the chairs of geography in the universities were doubled and specialised into physical geography and human geography respectively. This was a result of developments and initiatives inside geography. Doubling the number of professor chairs was rightly seen as a success and a confirmation of the rapid growth of the geographical field of research. Even if there were those among the geographers who foresaw the negative consequences of institutional separation for the coherence of geography, nobody could predict all the consequent developments and long-term effects for the role of geography in science, school and society. Physical Geography and Human Geography were now separate disciplines beside Geography and Economic Geography, with their own programmes aimed at different professions. Geography for the school teaching profession was subsequently taught in a more or less integrated cooperation of physical and human geography sections. Around 1960, a formal split of the geography departments into separate departments belonging to different faculties was completed. The departments of human geography came to be allocated to the faculty of humanities and later to the new faculty of social sciences. In Umeå, geography was kept together in one department until 1996. Since then, there exists no “Department of Geography” in the traditional sense in Sweden. The specialised departments have increasingly been separated, even physically. The final result of the orientation of physical geography to geosciences has been the dissolution of departments of physical geography and the integration of separate subdisciplines into departments of geoscience, thus lost for geography. 10What developed at universities in the 1950s was followed up in school reforms. From 1964, geography in upper secondary schools was split up and partly integrated into “social studies” and “natural studies” respectively. This again negatively affected universities in their teachers' training programmes and recruitment of research students from geography courses. At the peak of its scientific success and political recognition, the geographical field of study at universities lost its base in general education! It must be said that university faculties had been deeply divided in their opinion on school geography. Some saw possibilities for both physical and human geography within the new constructions, provided geography was maintained in grades 6-9 of the comprehensive school. 11Until recently, Swedish geography departments have been relatively small in international comparisons. In the 1960s, a substantial growth occurred in student numbers and teaching staff within the faculty of social sciences, including human geography. The government had guaranteed unlimited access to studies in fields other than natural sciences, medicine or technology to new categories of students with or without secondary school. The result was a rapidly growing faculty of full-time teaching lecturers without a PhD. The 1980s, then, was a period of stagnating student numbers and consolidation of the departments. Many lecturers could complete their PhD. 12In the 1990s, the number of research faculties and supervisors in most geography departments grew in an unprecedented way, partly due to external funding. The number of professors has exploded with a new system of promotion of lecturers since 1996. Human geography is represented in a number of new university colleges all around the country. Since the middle of the 1990s, even university colleges without a research organisation are provided with research funding from the government, resulting in a number of part-time “adjunct professorships” and promotions. “For the moment there is nothing like the organisation of higher education in geography in Sweden. Geography has neither representatives of its own at the universities, nor is it a separate discipline in the candidate or licentiate degree. Nothing is known to the author about any movement to better the very unfavourable conditions for the care of geography in Sweden”. One outstanding example is Sweden, which with few universities and a small group of geographers has led research in several important areas (Peter Haggett in “Geography. A Modern Synthesis”, 1972). It is generally recognised that the work of a few Swedish geographers has had a considerable impact on the development of modern human geography during the past two decades (Allan R. Pred in “Progress in Geography”, Nr 5, 1973). There is a vivid contrast here between Sweden and the rest of Europe ; geography students in Sweden are not only involved in many urban, regional and governmental bodies... but the faculty of the geographical institutes are frequently called upon to advise on problems of spatial organisation, location and planning (Peter Gould in “Geoforum”, Nr. 17, 1974). 15We can conclude that development started late but obviously was progressive until the beginning of the 1970s! 16All reviews of Swedish geography research have observed that the boundaries of the discipline as exercised in Sweden in the first half of the 20th century were indistinct and its definition undetermined. Geography was a field of investigation to which scholars from different, adjacent fields made contributions. Its theory and methods were still so elementary that no geographical professionalisation was necessary except for map-making. Frontiers to other fields of nature research were also open. Natural history was an outstanding Swedish speciality at the beginning of the century. As a result, specialisation in the systematic branches of geography began early and integrative regional geography never developed in Sweden. Most Swedish geographers thus stood off-side in the philosophical debates on the problems and schools of geography. Of course Swedish geographers recognised the “regional monograph”, the well-documented, balanced geographical description of countries and regions as an implicit goal of geographical research. But nobody tried to reach that goal. No one really interfered in the philosophical discussions focused on the concept of the “natural region” understood as the specific raison d”être of geography as a science. The chorological nature of geographical topics was recognised early on but the Hettnerian anathema of time-series in geographical analysis was never really understood or accepted in Sweden. On the contrary, Swedish geographers soon discovered the specific possibilities to investigate the historical evolution of landscape and regional systems given in a rich variety of historical evidence in archives, not least the unique wealth of land survey maps from the previous 350 years. Already in 1903, Sven Lönborg, teaching in Göteborg, propagated “historical geography” as a promising field for Swedish geographical research. In Lund, his seed fell into rich soil, later it spread to Uppsala and finally to Stockholm, where it still has a recognized position.Of course, Swedish geographers have expressed views in epistemological questions, but never a substantial number of professional geographers attached themselves to any more orthodox school. Pragmatism has characterised Swedish geography. This may also be explained by the limited number of professional geographers and their diverse specialisations. Colleagues at the same department doing research, for instance, on the mass balance of glaciers and the early development of rural settlements, respectively, do not have so much philosophy in common as daily work – except for their common interest in chorological techniques and cartography! But as a method for tracing climatic change through the centuries the study of glaciers is of great interest for the study of settlement history. Occasionally, even settlement history can provide important evidence to the glaciologist. 17Each one of the three main forms of geographical problem formulation distinguished in textbooks has deep roots in Swedish geography : spatial analysis, ecological analysis and regional complex analysis. We can find them discussed in an essay by William William-Olsson (1942) with references to Swedish works. At that time, Swedish geography had established its own profile, freed itself from dependence on direct impulses from abroad and distinguished itself in some specialities. To these belonged glacial morphology and glaciology, hydrology, urban geography, historical geography and population geography.In the 1950s, a generation shift occurred when geography was split up and specialized chairs in human geography were established. A decisive factor behind the split of geography into two disciplines was the rapid scientific growth, demanding more and more specialized competence for research. To qualify for a professorship in geography the applicant had to present scientific publications based on original research in physical as well as in human geography. From both a scientific and a personal point of view, it was increasingly seen as a burden – and a waste of time – for a human geographer to carry out and publish a research project on physical geography – and vice versa. These projects could hardly reach the frontier of science, but there were some remarkable exceptions when geographers successfully shifted research fields. However, it felt natural and most promising to specialize. The split of geography was felt as a relief by most advanced students aiming at an academic career. A period of scientific progress and growth in student numbers and positions began for human geography, now ”liberated” from the predominance of physical geography in the old departments. Thanks to a fortunate recruitment of postgraduate students in the early post-war era, when geography had a strong position in the school system, the foundation was laid for an unprecedented flourishing of human geography. The number of postgraduate students grew into hundreds in the main departments and the number of doctoral theses grew substantially, as did the number of “docent”-appointments in the decades from 1950. The scientific blossoming of the 1950s-1970s was fuelled by an enthusiastic exploration of the new fields of investigation into the spatial dynamics of contemporary society opened by the “quantitative revolution” and spatial theory. The seed of quantitative analysis and deductive theory had been brought to Lund by the exiled Estonian geographer Edgar Kant, the first scholar to take up Walter Christaller”s central place theory outside Germany. He escaped Soviet-occupied Estonia in 1944. Outside Estonia he had already inspired one or two geographers in Finland. The impulse to Lund was enhanced by the inspiration from the methodological renewal of human geography in the USA that had succeeded Germany as the leading power in science. New statistical tools for multivariate analysis were explored and applied in a spatial context. New geographical concepts, methods and theory foundations for a dynamic approach were developed or introduced by Torsten Hägerstrand from the beginning of the 1950s.”Modern geography” developed in Sweden without much drama. Experimentation with quantitative and mathematical models opened new ways to analyse contemporary society but also opened new vistas into historical geography. The new demands for stringent analysis, quantification of relations and strict formal hypothesis testing were generally accepted as rational and useful tools in geographical research and had no orthodox school to fight down – when the first surprise of the lecture of Hägerstrand”s doctoral thesis had passed! 18In physical geography, aerial photo and later satellite image interpretation opened new possibilities in research and application. Remote sensing developed rapidly and in Stockholm a special professor chair was created within the department of physical geography. Environmental politics opened new fields of work. Glaciology maintained an advanced position and obtained its own professor chair in Stockholm1970. 19The XIXth International Geographical Congress, arranged jointly by the five countries of “Norden” in 1960 has remained the biggest event of its kind ever to have been organized by Scandinavian geographers. International­ly, the congress, with its many specialized symposia all around the five countries and the main congress in Stockholm, is regarded as the break-through of “modern geography”. The congress also clearly promoted the “internationalization” of a whole generation of Swedish geographers, now integrated in international networks of different specialties.Swedish geography was open to scientific progress and stimulated by world-wide recognition. A debate in Ymer 1962 between William William-Olsson and David Hannerberg was a reflection of the paradigmatic shift that had occurred. Totally different understandings of geography were discussed. 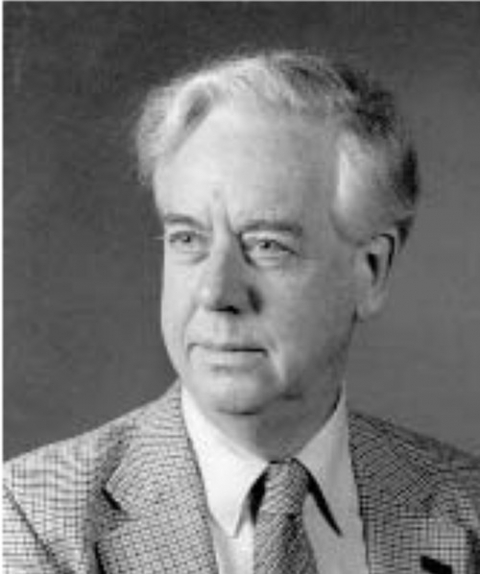 While William-Olsson maintained the view of an integrated and integrating science, Hannerberg, coming from physics and mathematics to historical geography, characterised geography as a family of specialised sciences, leaving geography as a descriptive body of knowledge in education. More than 40 years later, both arguments are still topical among Swedish geographers. 20It was of great importance for the prosperity of Swedish geography in the 1950s and 1960s that a theoretical and methodical basis was laid in the discipline for applied work in planning. Geography not only had theories relevant for understanding the urbanisation process. It promised to have instruments for prognosis and public interference. Never before had geographers been involved in more important public work, providing the scientific basis for a modernisation of regional structures and infrastucture in Sweden carried through by the “strong state” of the social democratic party, which had been in power almost continuously since 1932. A period of rapid economic growth and accelerating structural change, combined with the ambitions to build the new welfare state, released great energies for change. Central place theory and quantitative methods could be applied in a pioneering social experiment. Inside government, the ERU (Expertgroup for Regional Research) was established as a powerful base for geographical research applicable to the modernization programme for the country. Leading geographers were engaged in this work. The effects of economic growth and accelerating urbanisation in environment and landscape at the same time raised demand for geographers in environmental planning and landscape protection. After the historically unique economic growth of the 1950-60s, concern about cultural heritage in landscape and environment created a new field of applied work also for those geographers who had maintained the study of cultural landscape history as their scientific speciality.Geography in Sweden, more so than most other university disciplines, for many years came to direct most of its energy to current problems in society. 21We can maintain that geographers understood the possibilities and responsibilities of their knowledge earlier than the politicians becoming aware of the ”geographical” problems created by rapid economic growth and urbanisation in a sparsely-populated country. This was a period when many ministers of the government, one fatal exception being the minister of education and research, realized the importance of human geography for their fields of responsibility. The ministry of education simultaneously pursued school reforms, inspired from the USA, which from 1964 eliminated the concept of geography from the upper secondary school curriculum for almost three decades, thus undermining the recruitment of new students to the discipline. The traditional recruitment of students for the teaching profession in geography, the main source of students to the post-graduate level, with combinations either with history or biology, was drastically reduced. The bulk of students in human geography now came from social sciences aiming at planning professions. The period of political recognition and strong public support for applied work in planning brought stimulation but also dangers to the discipline. Stimulation through growing demand for applied research and trained geographers in a widening labour market entails dangers, first through the pull effects of this labour market on the young talents of the discipline, second in that basic research was less attractive when money flooded in for applied research and, last but not least, of the strong links to the governing political system – which in a democratic society can change “overnight”. This occurred in September 1976, when the first non-socialist government since 1932 came to power. The shift in public opinion did not favour the positivist approach of “modern geography” and its application in big-scale planning! Practitioners of modern geography came under ideological attack from new political and post-modernist movements. But the impulses to a new paradigmatic shift in the 1970s also came from inside geography and worldwide. 22New signals had already been hoisted up here and there, not least in the USA. The exploration of mathematical models and quantitative techniques suddenly came to an end. A period of confusion and reflection followed the publication of David Harvey”s “Social justice and the city” in 1973, and the advance of Marxist approaches into geography. Geography entered the ideological conflict zone of “-isms”. A new vocabulary was picked up by some radical students from sociologists like Marcuse and philosophers such as Sartre – and of course from Marx. But it fostered a generation of students fervently analyzing society under social and later gender aspects, preferring to call the discipline “samhällsgeografi”, “social” instead of “human” or “cultural”. This happened in all departments of human geography. However, the Marxist trends in Swedish geography added no original or important work to the geographical literature. “Critical philosophy” and “post-modernism” (Foucault, Derrida) soon added to the intellectual confusion. “Deconstruc­tion” and “meaning” replaced “capitalism” and “imperialism” as frequent signal words.The debate on “positivism”, “hermeneutics” and “phenomenology” developed from the “perception-geographical” studies of decision-making processes, environmental perception, “mental maps” etc. As the normative economic theory loosened its grip on economic geography, older, more “humanistic” and “idiographic” approaches were rediscovered. Inspired by the works of Vidal de la Blache, Anne Buttimer developed a philosophical structure for a “phenomenological” geography. “Modern geography” was accused of reinforcing an inhuman large-scale planning in society. The mathematical language frightened people off. A new generation of young geographers took up social issues at home and in developing countries. “Social justice” became frequent in titles of new publications. The renewed interest for the situation of human beings in the modern world again raised a broader interest for history. Hermeneutics (‘Verstehen”) was considered by many students as more relevant than quantifiable hypothesis testing. In the 1970s, young “critical geographers” began organising their own meetings and formed a Nordic network. The “Nordisk samhällsgeografisk tidskrift” (Scandina­vian Journal in Social Geography) started as a joint project and a forum for ideological debate and the publishing of scientific papers. As a lasting consequence of the excursions into political philosophy, concepts of power as well as of gender and justice have expanded in geographical work. 23But Swedish geography had never totally abandoned the humanistic approach. The paradigm of “modern geography” as little as earlier philosophies had established itself to universally prevailing orthodoxy. Swedish geography maintained its paradigmatic pluralism but too many abandoned the more rigorous scientific tools of quantitative methods, more from a need to follow a mainstream ideological trend than by scientific necessity. If specialisation in research in the 1940-60s led to a split of geography as a discipline at Swedish universities into a natural and a social science, developments in later decades converged again to bring the two “geographies” into closer cooperation once more. Work in developing countries and in landscape protection, the use of remote sensing and computer cartography, techniques of spatial analysis and ecological-environmental issues unite in theory and practice. Unfortunately, at some Swedish universities physical geography was already being dissolved into different specialties in geoscience and beyond geography integration.Social aspects have had a bearing in research on regional planning. The “time-geography” developed by Torsten Hägerstrand is an original contribution to the study of man-land-society which also provides the building blocks for a basic geographical theory that does not derive from theories of other disciplines. Hägerstrand”s point of departure are deductions from time and space budget concepts. The thoughts of Hägerstrand expressed in “The Domain of Human Geography” may in future be recognised as signalling a new paradigmatic shift, where the whole history of robust geographical ideas is properly considered. Post-modernism will also eventually pass into that history! 24What happened to school geography in the 1960s was judged very differently by those who held positions in the different fields of geography at universities, but also among those who were responsible for school geography. There was no united opinion as to the risks and possibilities for the future of the discipline in the reform period of the 1960s, and thus no strong base for debates with politicians and reform committees. The tide could only turn when the negative effects of the loss of geography in education in a time of globalisation and environmental problems, the loss of geography teachers as a profession and the loss of courses in geography at universities and teacher training colleges became obvious not only within the discipline but in society and public opinion. This occurred after years of enduring campaigns, lobbying in parliament, resolutions and debates. There was strong support from the Royal Academy of Sciences. From 1992/93, geography was reintroduced into the upper secondary schools although only compulsory in one of the programmes. Summarizing the position of geography in the Swedish school system today, we can state that it is taught in the comprehensive school grades 1-5 as part of orientation studies in society and nature, and as geography in grades 6-9. The time allocated, however, was reduced in 1993 to one hour per week. The course descriptions are made by geographers and judged to be good. In the upper secondary level, grades 10-12, only part of the students have geography as a compulsory course, the others can choose geography among a number of courses. There is a process and consequence-oriented geography programme with an ecological perspective. Comprehensive school teachers are trained at teacher training colleges, whereas teachers for the higher level at universities are trained in cooperation between departments. Specialisation in scientific work had been the background to the dissolution of geography in the school curriculum in the 1960s. The growing scientific and political interest in research on the interaction between Man and Nature in environmental issues on a global as well as local scale was the background for a rebirth not only of an integrated geography in schools but also of the growing cooperation between physical and human geographers at the research level. Develop­ment geography and landscape analysis are fields of joint efforts.But these promising developments for a new era of integrated geography today meet institutional obstacles which make the success of a renaissance uncertain. There are only few places today where human and physical geography departments are neighbours. Physical geography in most universities (Stockholm being one exception) has been dissolved and integrated in geosciences. The intellectual neighbourhood was carried by an older faculty, educated in undivided geography. The last generation of these is now retiring. When I was asked, around 1990, by a former minister of education discussing the reintroduction of geography in upper secondary schools, if there is the capacity at universities to teach a new generation of geography teachers, I answered that there still is, but that time is running out. Divisive forces inside university geography are still stronger than integrative.What we have learned from the history of geography in Sweden clearly indicates that university geography and school geography live in symbiosis. They need each other to prosper. 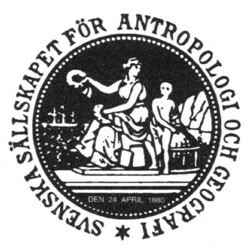 In 1873 an Anthropological Society was founded in Stockholm, including a geographic section. In 1877 it was transformed into the Swedish Society for Anthropology and Geography with geography as its main field. On April 24, 1880, the mineralogist and explorer Adolf E. Nordenskiöld, prominent member of the society, returned to Stockholm with his ship Vega after having completed the North East Passage for the first time. In the Swedish capital he and his fellow expeditioners were received by HM the King with fireworks and big festivities. The next year on the same day Nordenskiöld received the first Vega Medal. He was later followed by many reknowned medallists, e.g. geographic explorers like Nansen (1889) and Shackleton (1910) and scientists like Dansgaard (1975) and Emiliani (1983). While the Vega Medal is awarded to a physical geographer every three years, nowadays human geographers and anthropologists receive the Anders Retzius Medal during the intervening years. Anders Retzius (1796-1860) was professor of anatomy and physiology at the Karolinska Institutet, the most prestigious medical school in Sweden. 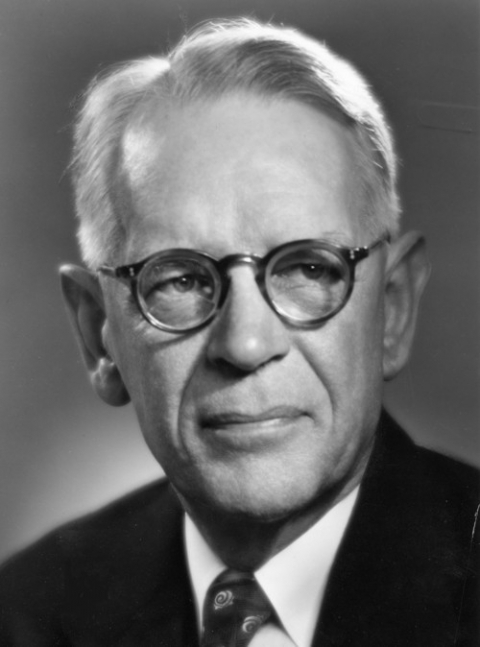 His research was in anatomy and physical anthropology. His method of measuring human sculls formed the basis of physical anthropology as a science at that time. His daughter-in-law, Anna Hierta-Retzius donated the money for the medal fund. She was daughter of the famous liberal Lars-Johan Hierta, founder of the first modern newspaper in Sweden (1830). Among the Retzius medallists are Christaller (1967), Hägerstrand (1973), Harvey (1989), Haggett (1994) and Gould (1997). April 24, the Vega Day in the official Swedish almanac, is the yearly festival day of the society. On this day a minisymposium is arranged on a theme chosen by the year”s medallist and with speakers selected by him/her. The papers presented are being published in the international scientific journal of the society, Geografiska Annaler. At the Vega banquet the same day the Alfort Prize is awarded for the best Swedish thesis in physical geography to a young scientist. From special funds but also from the budget of the society a number of research scholarships are awarded every year to graduate students. The society also organizes every year a one-day symposium for Swedish graduate students in geography or social anthropology, covering also the expenses of participants. Since 1919 the society publishes the international scientific journal Geografiska Annaler, now in two separate series A and B for physical geography and human geography respectively. The oldest journal of the SSAG, published since 1877 (since 1966 transformed into a yearbook), is called “Ymer” (Ymer in the old nordic mythology was the giant from whose body, blood and scull Earth, Oceans and Heaven were created). It contains more popular articles in Swedish, each year around a common theme, a region or a geographic phenomenon. Members of the SSAG meet at popular lectures 6-7 times a year at the Stockholm university, often with speakers from abroad. They can also join a geographic excursion which is arranged every year to some interesting region mostly in Europe. SSAG has a board of governors consisting of 7 geographers and 2 social anthropologists. It has ab. 800 members. Buttimer A. (1978), “On People, Paradigms and 'Progress' in Geography”, Rapporter och Notiser, 47, Kulturgeo­grafiska institutionen, Lund. Hannerberg D. (1962), “Ett genmäle (till William-Olsson i Ymer)” (‘An answer (to William-Olsson in Ymer)”), Ymer, 2. Helmfrid S. (1999), “A Hundred Years of Geography in Sweden”, in OHNGREN B. (ed. ), Swedish Research in Human Geography, Swedish Council for Research in the Humanities and Social Sciences, Uppsala. Hettner A. (1927), Die Geographie, ihre Geschichte, ihr Wesen und ihre Methoden, Breslau. Hägerstrand T. (1982), “Proclama­tions about Geography from the Pioneering Years in Sweden”, Geografiska Annaler, 64B. Hägerstrand T. (1973), “The Domain of Human Geography”, in CHORLEY R.J. (ed)., Directions in Geography, London. Hägerstrand T. (1976), “The Geographer”s Contribution to Regional Policy. The Case of Sweden”, in Coppock T. & Sewell W., Spatial Dimensions of Public Policy, Oxford, Pergamon. Lönborg S. (1903), “Historisk geogra­fi” (‘Historical geography”), Ymer. William-Olsson W. (1962), “Att studera kulturgeografi. Ett diskussionsinlägg med anledning av David Hannerbergs bok med samma titel” (‘To study human geography. A contribution to the discussion about Hannerberg”s book with the same title”), Ymer, 2. Staffan Helmfrid, « Geography in Sweden », Belgeo, 1 | 2004, 163-174.